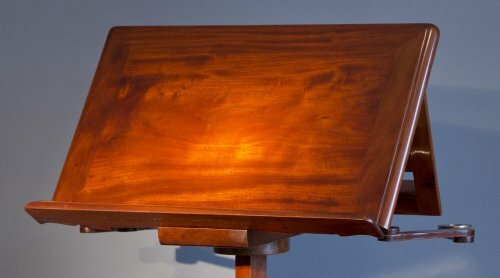 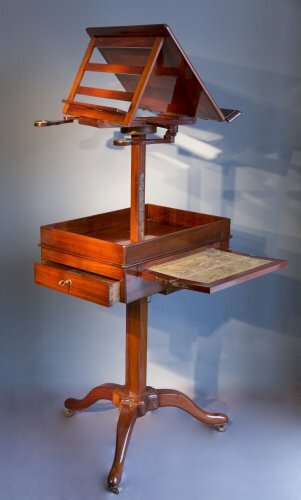 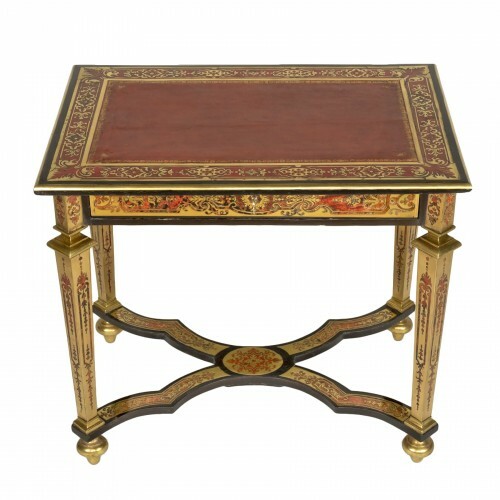 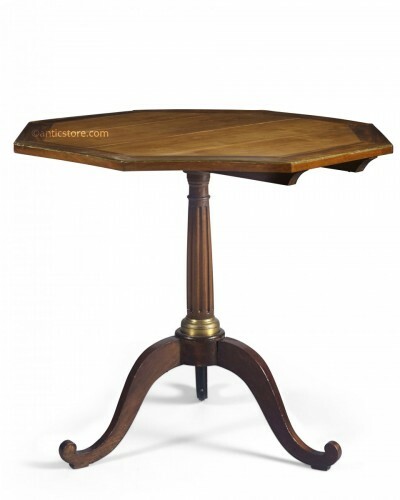 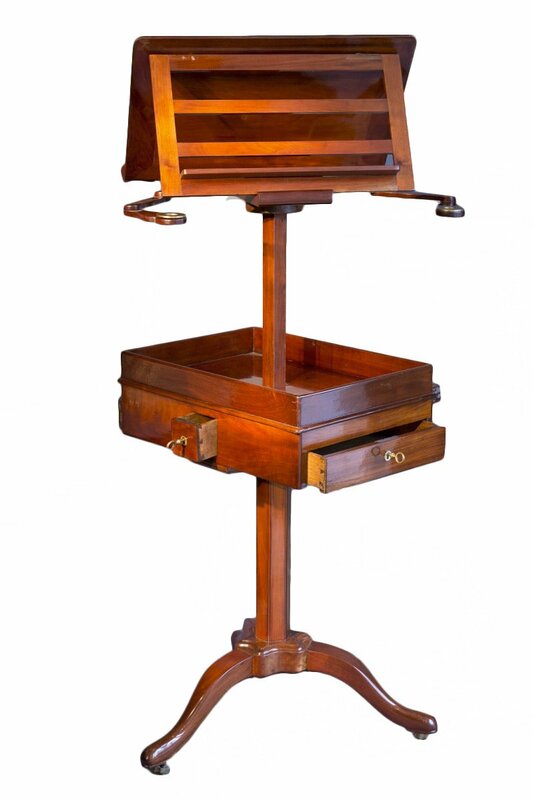 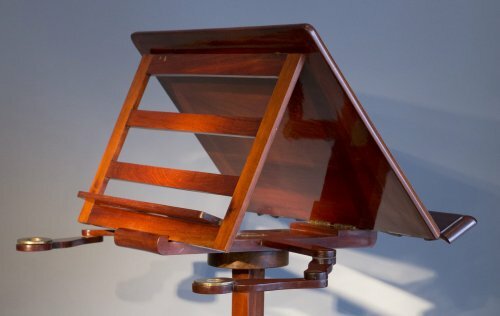 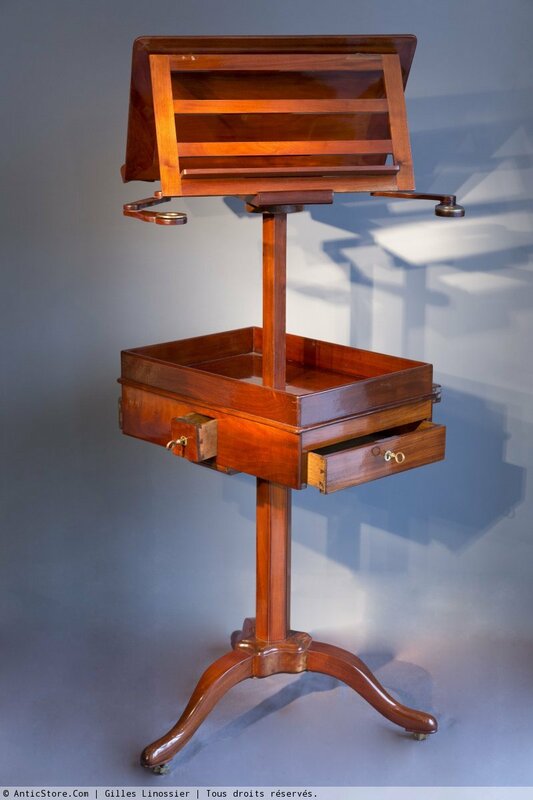 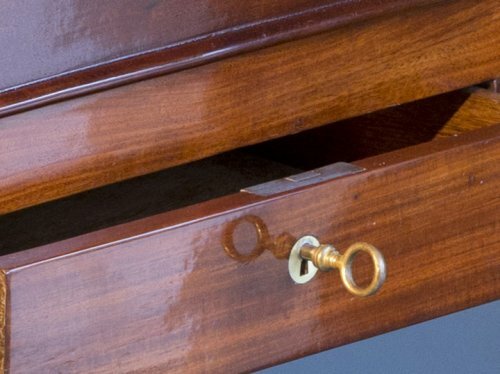 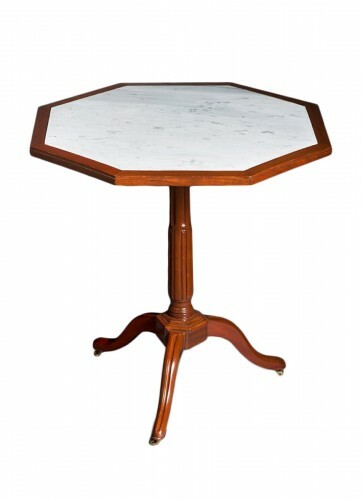 Convertible furniture of Louis XVI period forming a double reading desk on rack and pinion decorated with two removable arms of light, in solid Cuban mahogany. 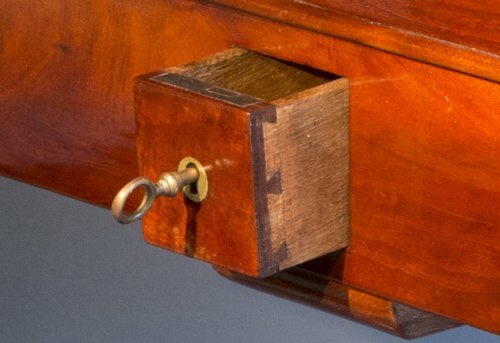 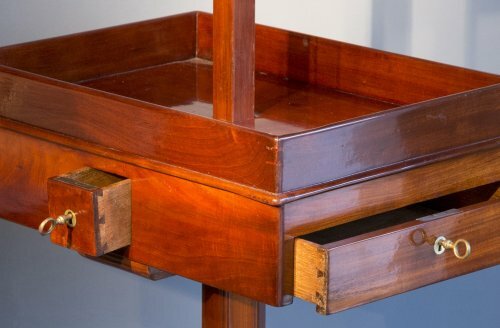 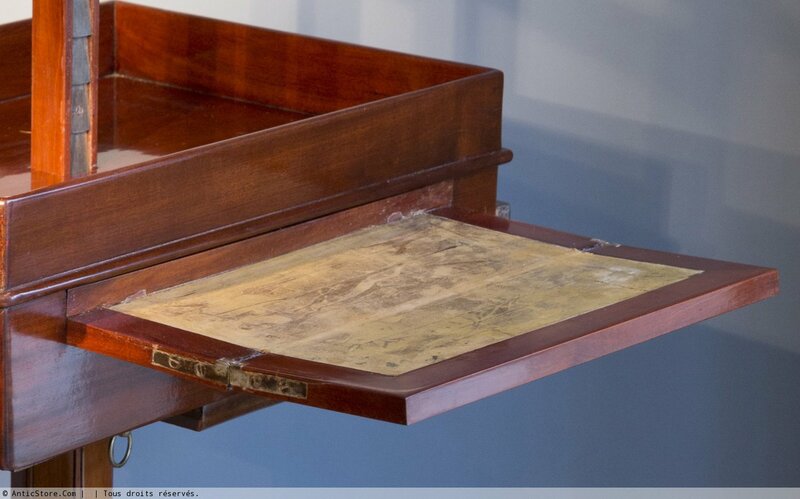 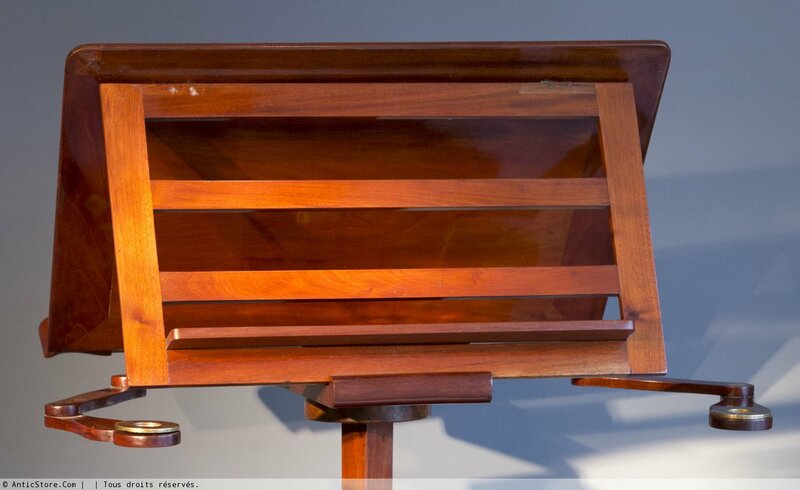 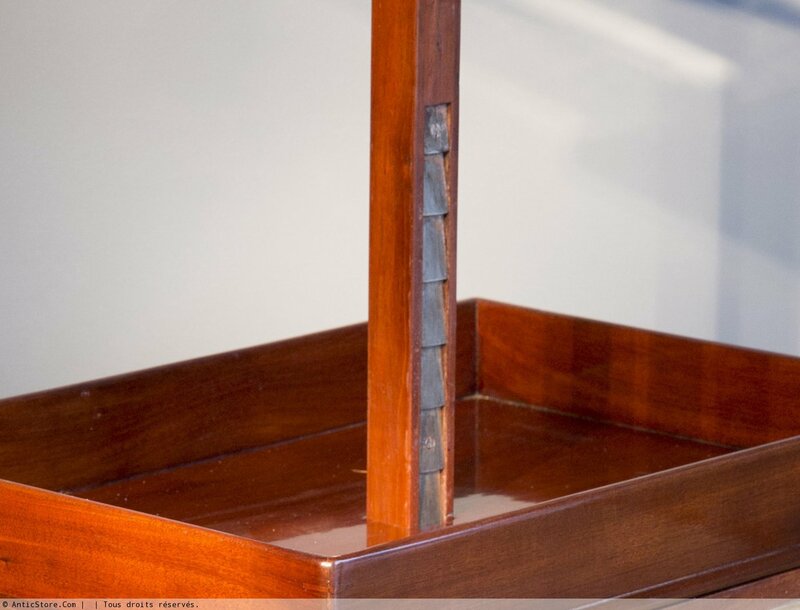 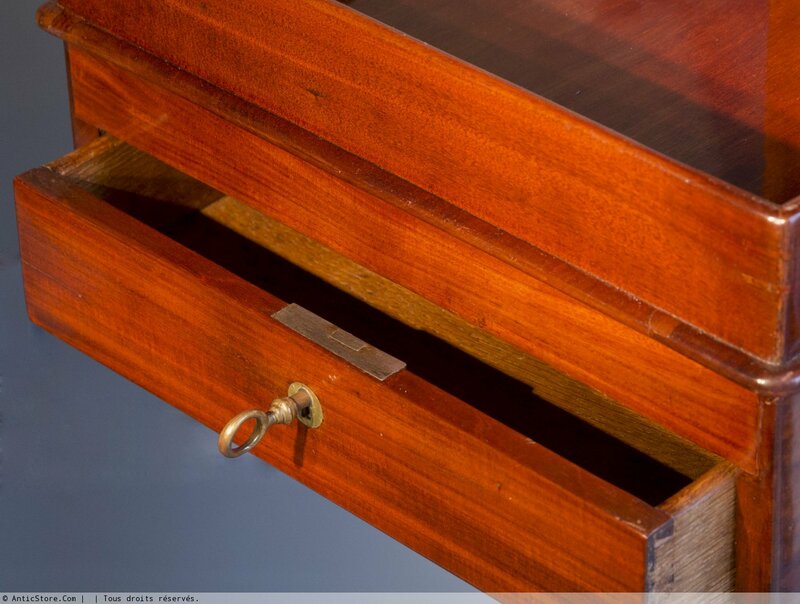 The belt opens with two drawers and a folding tablet forming writing surface. 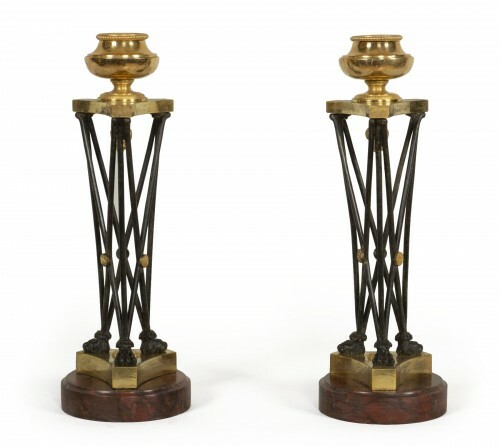 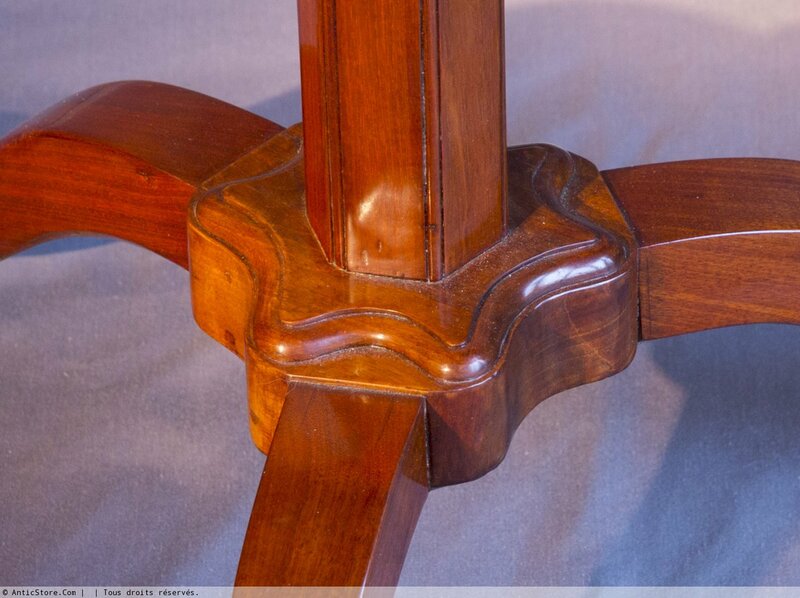 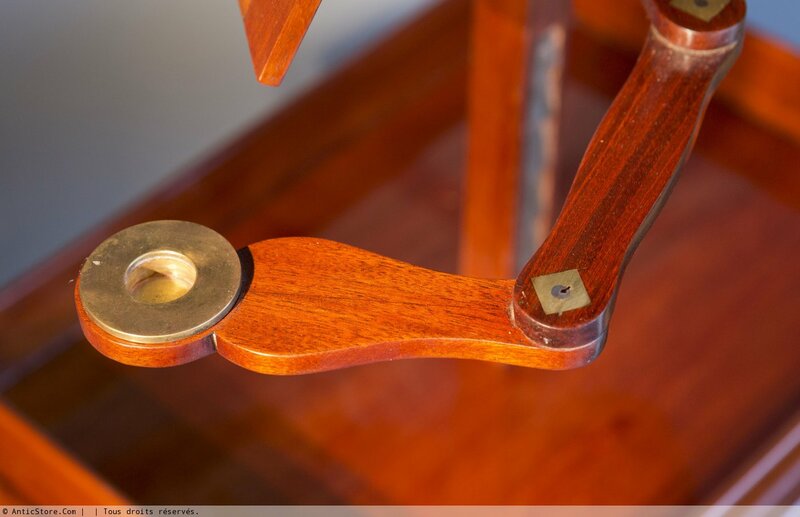 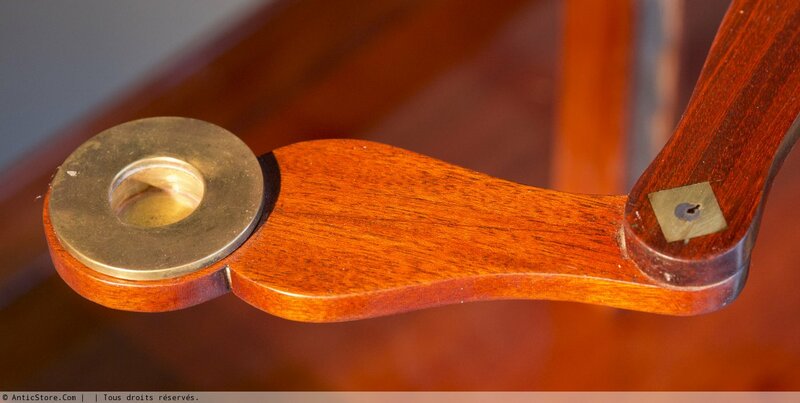 It is based on a central hexagonal foot and rests on a tripod base. 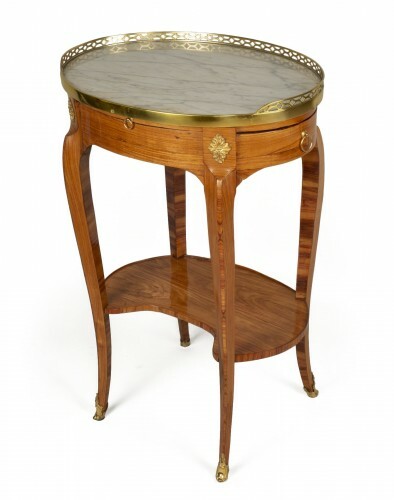 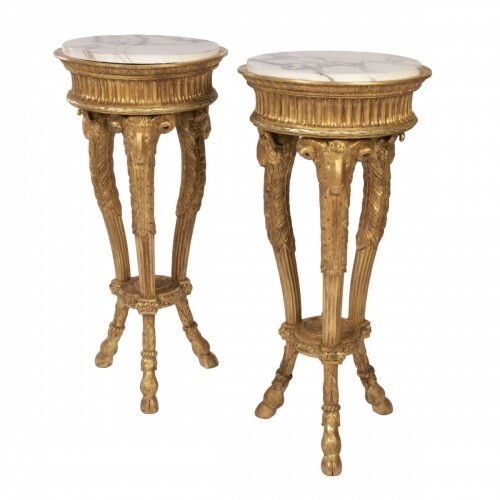 Parisian work of Louis XVI period. 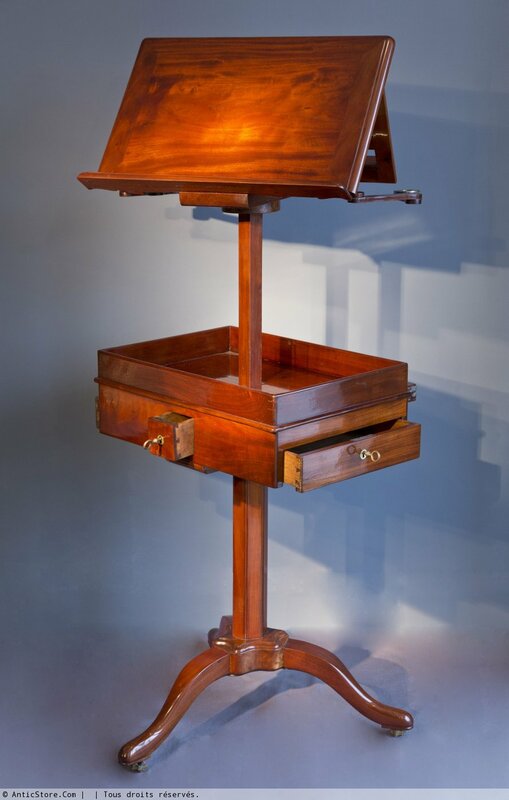 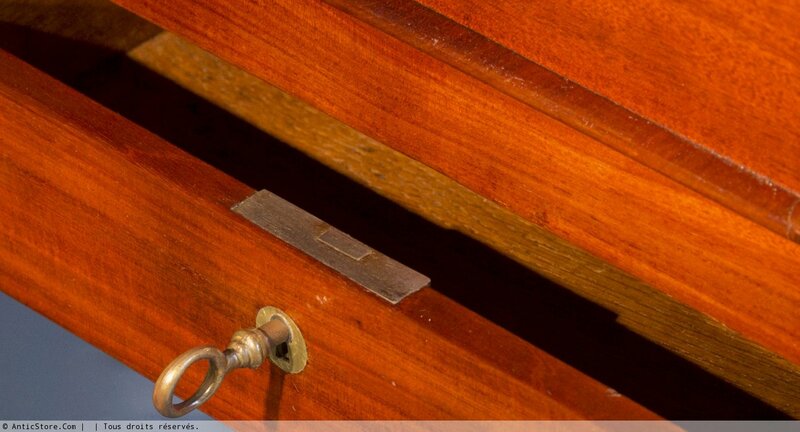 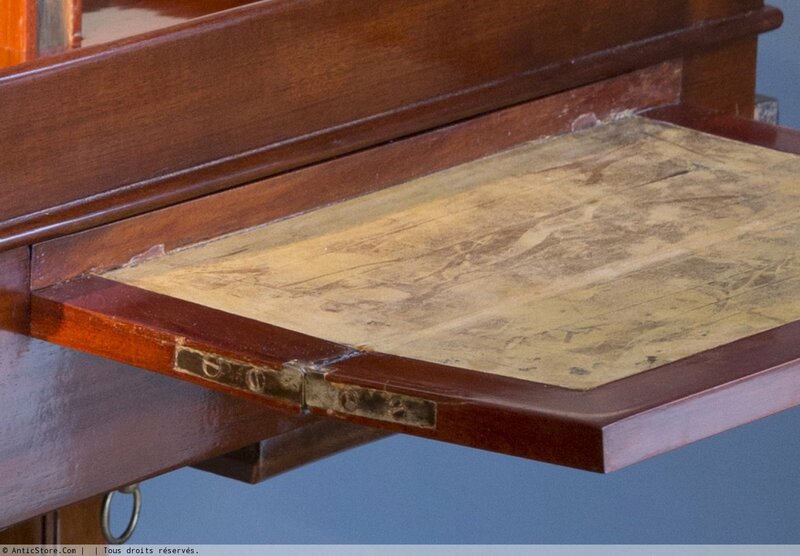 Joseph GENGENBACH said Canabas (1712 - JULY 11, 1797) received Master Cabinetmaker in Paris on April 1st 1766.